Everything about the Virginia Tech men's basketball game against Penn State in the ACC/Big-Ten Challenge sucked. The refs sucked. They weren't bad in a way that favored either side, they were just inconsistent. They went to the monitor enough to make the game feel choppy, and were just all over the place so that the players never seemed to get a feel for how things would be called. The crowd sucked. The Bryce Jordan Center wasn't very full, and the crowd mic sounded like it was latched to the lapel of three screaming students. Penn State sucked. Well, maybe not sucked, but they weren't fun. They took the air out of the ball, shot a lot of jumpers and bricked many of them. But, most importantly, Virginia Tech sucked. And lost to the Nittany Lions 63-62. For a squad as talented as the Hokies, there are a few things that'll trip them up every time. Turnovers, abhorrent defensive rebounding (as opposed to the below average output we usually see), and lazy defense will always lead to a loss, and all three reared their head in State College. Penn State shot 25-57 from the field, meaning they missed 32 shots. But they then grabbed 14 offensive rebounds, which comes out to grabbing an offensive board on 44 percent of their misses. Even for an undersized team like Tech, that is the definition of abhorrent. The Hokies went through long dry stretches offensively, which seemed to make them uncomfortable and play outside their system. Both Justin Robinson and Nickeil Alexander-Walker frequently over-dribbled, turned it over, and took a long time to pull the team out of a few tailspins. Even when Robinson threw his cape on and went into closer mode (something he's really good at), he took a bewildering three—from way beyond NBA range—with eight seconds left down just one. It clanked off the iron, ending Tech's last chance with a deflating thud. Though Robinson had a chance to steal the game for the Hokies, it would have overshadowed a poor overall performance from the team. The defense often found itself scrambling in rotation, somehow neither closing out on shooter or being close enough to the basket for rebounds. And while the players didn't have a great night, the bench wasn't far ahead of them. Buzz Williams shortened his rotation dramatically, playing Wabissa Bede just 11 minutes and P.J. Horne only five. The five-man unit of Robinson, Alexander-Walker, Ahmed Hill, Ty Outlaw, and Kerry Blackshear played nearly the entirety of the second half. And when it came down to it at the end, Williams drew up a two-man action that got Blackshear the ball—18 feet away from the basket, and ended with Robinson's prayer. Buzz and his staff may be great, but that play was not. The loss isn't a season breaker by any means, and it's less of an upset than it seems. Penn State came into the game 38th in KenPom to the Hokies' 16th, and played Tech very well. But it'll still go in the "bad loss" column when we get to March. 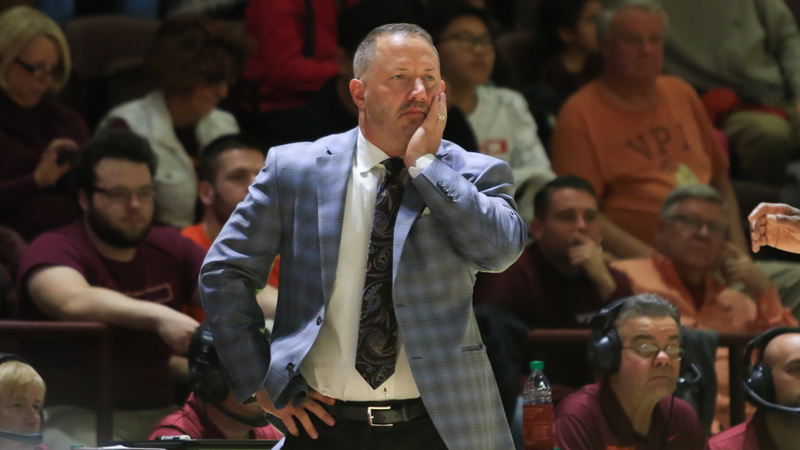 The Hokies have a slew of tune ups ahead of them (Central Connecticut State, VMI, South Carolina State) before meeting Washington in Atlantic City on December 15. Hopefully by then the Hokies have another rotation player they trust (Landers Nolley), and have the stench of this loss far behind them. Throughout the early part of the season, I've fallen somewhere between having no opinion and dismissive of Outlaw. I've had multiple conversations with Joey where we question the senior's role on the team as a guard who's not quick enough to consistently get open off-ball, struggles with his handle, and doesn't move well laterally. Yes in theory he would fit into the Chris Clarke roll, but how could he do that if can't do most (if any) of the stuff that made Clarke so special? "He offensively needs to shoot Buzz shots—which are the type of shots I'd shot if I was playing, that's the shots that Ty needs to shoot. And when Ty can't shoot it, I'm telling him hurry up and get rid of it and let five or Nickeil force help again so they can get it back to him. We need him to be a physical presence. He's pound for pound as strong as we have, and we need him to be in the fight down in there." The offensive task is obvious (well, as obvious as Williams, the human em-dash, will allow it to be). Outlaw is a great spot up shooter, as we saw tonight. But as we also saw, I think his coaches would prefer him to take 0 dribbles a game. But his role on defense made me reconsider him a bit as a player. Yes, he's not fast, and will lose a guy if asked to guard someone on-ball for long stretches. But if he simply blocks out and uses his strength rebounding he'll be just as equal a defensive contributor as someone like NAW or Bede. It's a different ask than either of the top flight perimeter defenders have, but equally as important. I know everyone freaks out about Blackshear's fouls, and it's a relevant concern. But part of the reason Kerry's so important to this team is his role in perimeter defense, specifically hedging on screens. He's always been an average rebounder for his size, and he's not a rim protector, but his nimbleness throws a wrench in an opponent's offensive game plan. Does it mean he picks up some fouls out there? Yes. But they're not dumb/unnecessary/misguided/whatever word you want to use after he picks up his third foul. They're risky. But they're risky because of what his movement can force down the line, especially as the cluster of athletic-but-undersized guards jumping passing lanes and coming with weak side help. Buzz knows it's risky, but there's a reason he still uses the strategy. Blackshear will have to be cognizant of his foul situation every night, but an active Kerry means an active defense, and I'll never get angry about that. This game just plain ole stunk. I give some credit to Penn St. They did a good job mucking the game up, which is what you want to do with us since we're a team that likes to get up, move the ball, and all that stuff. We couldn't respond. No one was sharp tonight. Lots of mistakes and lack of execution across the board. And even with that, we still had multiple chances to win late and couldn't convert (Ugh. Hill. *FACEPALM*). I don't expect this to be a trend though. It just seemed like one of those clunkers that happens sometimes. Just dust off, forget it, and go out and get on another roll. Anybody got post-game on why Buzz shortened his rotation so much? I'm curious to know the reason because with no one really playing well, especially Hill and Bede, what's it gonna hurt to throw some more guys out to see if there's any spark. what is this "credit" you speak of? We are no better than last year at current strength imo. We only play 7 guys and 2 of them (Bede and Horne) pose no threat on offense. There is way too much responsibility on Robinson, Hill, KJ, and Nickeil. Sometimes (like vs. Purdue) they will be great and we will win. But sometimes (like today) they won't be and we will lose. Hill played his worst game ever, Robinson had 1 assist and 6 turnovers, and I didn't think Nickeil was all that great. We are going to need Nolley and/or Clarke to win games in March imo. There is too much of a burden on our core players. We have 4 players who are any threat on offense and kind of a 5th (Outlaw) who is a threat to shoot but can't put pressure on the defense off the dribble. As much as I love Hill, he is too inconsistent to rely on. My personal mission for the rest of the season is to check Penn State's players individual stats after every game. That one freshman who was like 2-11 entering this game from 3 who made like a million tonight on a million and one attempts will probably return to sub-20% for the rest of the season. It's always against us. At least Blackshear stayed out of foul trouble for a game. But then again, the refs weren't calling much. They were bad, bet not Metro conference bad. Our defensive rotation is poor and has been all year, but we've managed to win with decent scoring distribution, but that wasn't the case last night. I like that we're aggressive on D, but we often over pursue and get way out of position leading to simple swing passes that leave guys wide open. At times we don't locate man and ball, #5 got caught flat footed and almost seemed surprised when the ball was swung to the wing with Jones (the hot hand and a guy that should have been blanketed) standing there for a wide open three. The last three minutes we seemed very disjointed on offense, and the final position was a head scratcher. Blackshear is long and athletic but that's a low percentage 1-v-1 situation and wasted time - 5 should have had the ball in his hands for the entire clock to either drive and kick to one of three very good shooters on the floor, dish to KB if a big helps, or draw contact and MAYBE get a foul call (although with the abuse he took I'm sure they would have swallowed their whistles). Hopefully, this game is an outlier. I'm a little more bitter than usual over an out of conference early season loss like this because I really wanted bragging rights over my future die-hard PSU in-laws, but I'll get over it. I do have to give State credit. The way they won that game reminded me of the way we eeked out wins against teams we weren't supposed to be able to compete with in Buzz's first two years: make it ugly. Their defense was locked in the second half and really got us out of rhythm. Their shooting was just good enough and timely during stretches where I thought we could pull away. Also, having inconsistent calls all night coupled with 786 additional TV timeouts helped them along the way. This will be a great teaching moment. I saw all correctable mistakes and (hopefully) getting Nolley and Clarke back soon will only strengthen us further. I was pissed after we lost but after some reflection this seems like the kind of loss that Buzz can turn into a positive. We are much better than we played last night and we have plenty of opportunities against less competition to get our veterans minds right. Are we pretending Hill's wide open jumper for the win that bounced off the side of the backboard never happened? Because I'm cool if we are, I just want to know. I would prefer if we all pretended Ahmed Hill's game last night never happen. Yeesh. The issue was that Ahmed Hill did'nt play at all... we had some guy, according to the ESPN play-by-play, named Ahmad Hill who really sucked at basketball. Hills shot was not a good one he was open but behind the backboard at medium range is a hard angle. I think Hill wasn't aware of the time left on the clock he has (I think) NAW open to his right or time to get into the hoop and dish/shoot. Then the wild pass with two timeouts on the next possession it was like someone turned his game awareness to 0 in the last minute of the game. My biggest critique of this game was the plays that were drawn up late in the second half when the game was tight. I don't think we did a good job of getting the ball into our best play makers hands when it was absolutely needed. Usually getting the ball to KJ so he was work the guy down low and take a contested shot is a good move because at worst it's a miss and a trip to the line, but we didn't get those calls tonight yet we kept going to it. It was very frustrating to watch and the complete miss on calls by refs coupled with ridiculous makeup calls threw any rhythm potential out the door for our team. Penn State managed to force us into an ugly game, with some help for sure but man was that hard to watch from a basketball fan (not just VT basketball) perspective. This game was a great example of how differently refs call games. The game against purdue was way less physical and had 35 fouls called while this game only had 30. It plays right into the hands of a B1G team to be allowed to play "defense" that would be called fouls in the ACC. You must have missed the big rule change over the weekend. Fouls are called jump balls now. Unless its the Virginia Tech player in the back position, then they are called fouls in the last two minutes of the game. I still can't get over that ten second call in the first half. I said to myself, if we lose this game by one possession, I'm blaming the refs. We still sucked, but we sucked just enough that we should have still beat PSU. I can get over the refs not calling obvious fouls and calling a jump ball for the 20th time of the game when a player clearly was over-the-back. I can't get over a ten second violation that we had possession for 4 seconds of. First thought should have been to have the shot clock reset correctly. Later in the game, on a similar jump ball that went to Penn State, the clock WAS reset. I was screaming at my TV that the officials treated the two situations differently - but they didn't hear me. The inconsistency of the officials was a major contributor to the outcome of the game. I watched this game on a tablet with the sound off while my girlfriend watched a movie on the TV. One thing I really noticed: Jean Claude Van Damme would win a Jerry Jones look-a-like contest. He tried to fight me for the role but Rimshot bit him in his achilles. Damn I guess now we will have to be a beisbol school? We only had 4 guys contribute to the scoreboard, and had 15 turnovers - that will not win games. 15 turnovers is very misleading in this case. They are recorded that way regardless of what actually happened on the floor when a whistle is swallowed or a whistle is actually blown against the Hokies. At least half the turnovers were cases of fouls not called or fouls called. First Turnover: Justin Robinson whistled for an offensive foul in a transition run out where he had position to the basket and the defensive player was definitely not set. Still considered a turnover. Third Turnover: Team turnover for 10 second violation when we only controlled the ball for about 4 seconds after a scrum, but the shot clock was reset to start after the ball came off the rim, officials refused Buzz request to review the tape. Seventh Turnover: Harrar hits Robinson going up for shot on drive to the lane, no whistle, recovers basketball, steal and turnover in stats. Four of these were definite turnovers and three others I don't recall the specifics. I don't disagree that there were many instances that Tech players overcommitted themselves to an action. There probably are a half dozen "missed shots" that were essentially turnovers, especially from NAW and Hill yesterday. I cringe any time I see Blackshear dribble because it is the ugliest, most awkward thing on the court when it happens. That said, there were at least as many times where Blackshear didn't dribble but instead went straight up for a shot and gets mauled, and the result was the same. Either way, no changing the result, so I feel bad for Central Connecticut because they are going to end up the whipping boy for the frustrations from this game. How many times did that female commentator butcher Bede's name? That and "Ahmad Hill". Lady if your struggling with names, just call him Med. She would have pronouced that "Mod". The last time I was somewhat critical, I got lambasted. Glad to see some of my fellow members were a little upset at our performance. Refs were awful. Ball movement was awful. Some shot selection was awful. But, the thing that bothered me most was a perceived lack of hustle defensively. We were flat getting beat to the ball which, IMO, allowed State Pen to get to offensive rebounds quicker than us. Is Clark truly lost for the season (forever)? We missed him in a game like this. Any scuttlebutt on his situation? Yep. That's what my sauces are telling me, too. This whole game something just felt off, seemed like we were never really playing our game. Starting about half way through the first half I kept waiting for the guys to settle in and go on a run. They kind of did a couple of times but immediately followed it up with a slew of turnovers every time. Feels like a game we could have won by double digits if you kind of clean up one of any number of things (shot selection, rebounding, defense). I'm going with they were just getting it out of their system. It seems like we're focusing a lot less on driving and drawing fouls. I remember we used to do a ton of that previously. 5 went into attack mode a couple times and got to the rim, but that used to seem to be the case for positions 1-3. Are we just that much more confident in our shooters now? Turning up the aggression and getting to the line can provide the spark that's needed in a mostly half-court game. The reason for that is there were no fouls to be had. The refs left their whistles in the locker room before the game. One of the lowlights for me was a Penn State possession in the first half where they kept grabbing the offensive rebound after the miss. The game recap only shows four offensive rebounds at that point, but I swear it seemed like there were at least ten. Part of that was at least two of those shots missed so bad that our players who were in "normal" position to rebound had no chance. I am pretty sure at least two of the shots did not reset the shot clock. That said, it was a very frustrating sequence to watch. I'm impressed we were able to keep the game that close despite how bad we played. Right from the start, that's a good sign going forward. With that said, I don't think I could possibly be more frustrated with the calls we saw last night. The decision to not even review to add time at the end of the first half is mind boggling. First of all, at least a second and a half ran off the clock after the whistle. Secondly, on replay, the PSU player had his foot on the baseline when he reached for the ball. 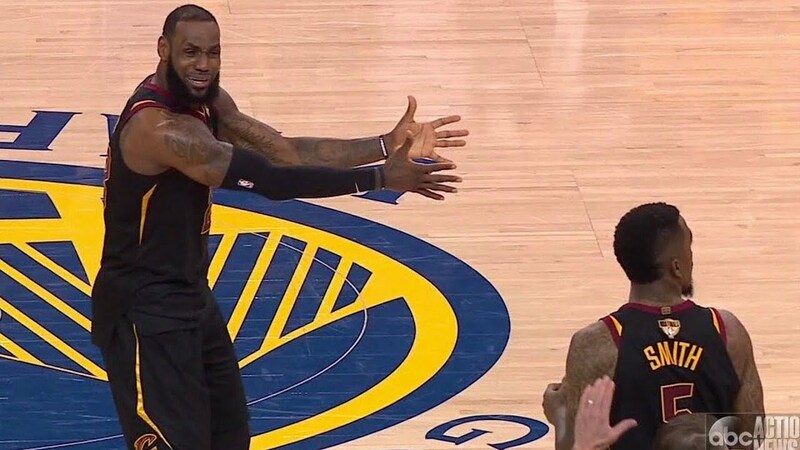 There should have been at least 2-2.5 seconds left in the half, and instead we were forced to inbound with only 0.9, requiring a desperate shot. In a one point final score, that very well could have cost us the game. And that's beside the horrible calls we saw throughout. Between the inconsistencies on what was over the back vs a jump ball (the jump ball when a PSU player had KJB in a chokehold, but a foul when we went for an offensive rebound at the exact same spot a minute later), the refusals to go to the monitor to determine whether Robinson was flagrantly fouled on a screen (he was, it was clear as day), the missed bobble by PSU that resulted in the player taking an obvious 3-4 steps without a dribble before he passed and got an assist, KJ getting literally thrown to the ground on a rebound, which turns into an odd man 3 point play for Penn St, that might have been one of the worst called games I've ever watched. Even officials in Cameron aren't as blatant as what we saw last night. What struck out to me was the disrespect the officials showed Buzz all night. He was asking for reviews on very obvious calls throughout and they ignored him. The Penn St coach asked for some, and they obliged. These officials are supposed to be impartial, and they were anything but. Learning from pete during the game they were a Big Ten crew, and seeing with my own 2 eyes what was going on, the whole thing just smells fishy. It certainly has the feel of a game where things might not have been as much on the up and up as you'd expect. Once again, we didn't play well, and we didn't deserve to win. But we had our chances and literally threw it away. Hopefully we can build on that and be better for it going forward. That said, I'm not sure I can watch any game going forward where the officials are that bad. It really took the enjoyment out of it. This game reminded me why there will always be upsets in college basketball and football until the end of time. Too much inconsistency emotionally from 18-22 kids and the refs in both football and basketball are so consistently bad that its really anyone's guess as to who can win. In football, I've stopped counting the number of un-called holds or mistakes refs made this year against VT and in basketball its probably even worse with the inconsistent calls and just general lack of ability to "call it both ways". It's why I don't get as mad any more, because the expectations for the refs are so low based off of 20 years of abhorrent officiating. I get that it was an uncharacteristically bad loss in terms of the way the team performed, but it's not like we lost to a team that is awful. Kenpom has them in the top 40. By the end of the season hopefully penn state will be a decent team in what is either the best, or second best, conference top to bottom. B1G is supposed to be 3rd or 4th best conference this year. They look pretty good right now, but ACC and SEC are #1 & #2, which likely won't change. Yah im gonna need a starter who gets 38 minutes to not go 0-9 and make boneheaded plays in crunch time. I don't know how this article was put together without dumping on Hill's performance. The final minute of the game, he got a offensive rebound and bricked a shot off the side of the backboard instead of dishing or driving to the hoop. Then he gets the last defensive rebound, has a single defender get in his face and chucks a prayer across the court looking for a teammate when there was enough time to move the ball up the court. Showed no composure in these moments. It's 1 loss but it sure was an ugly one that you had to mute your TV for. Hope he doesn't disappear like that come ACC play.